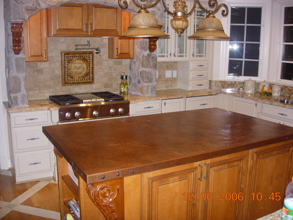 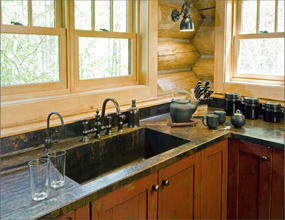 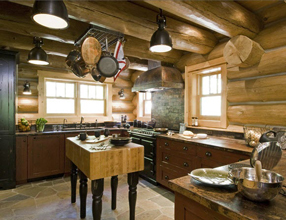 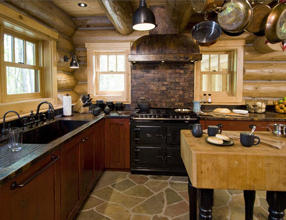 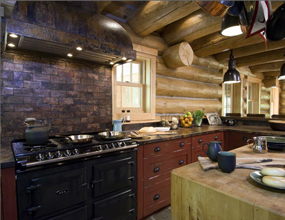 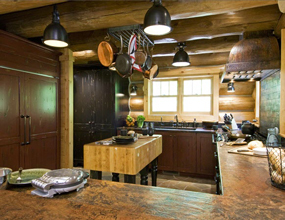 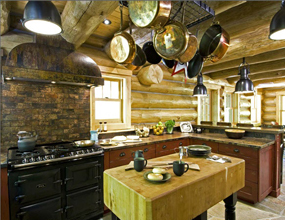 Custom Countertops - #2926 | Handcrafted Metal Inc. 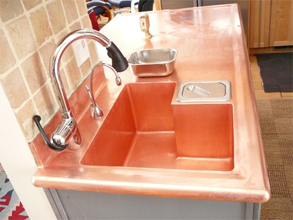 This stunning copper island features a fabulous framed repousse apron insert with custom lettering and hand-planished background. 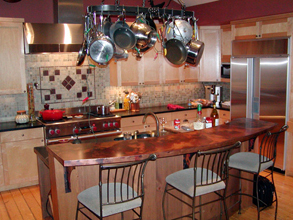 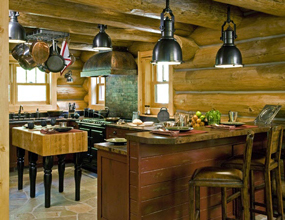 The apron extends beyond the countertop edge. 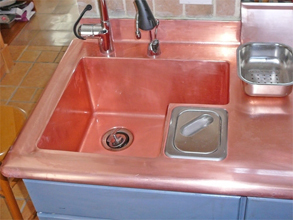 Smooth copper deck and sink, medium antique patina.